A swimming pool instantly transforms the backyard into the go-to hangout for outdoor family fun. But pool owners with young children need to take extra precautions. As parents, we do everything we can to keep our kids safe. Though swimming pools are fun, they present a serious hazard for young children who can accidentally wander in unsupervised. Making sure your pool area is secure with proper fencing is vital to keeping little ones safe. Glass fencing and glass railing systems are proving to be the best options for pool fencing and interior dividers because they allow parents to have clear-view barriers that make seeing the pool area easier. This simple design works to bring everyone together. The children are free to roam the backyard and parents gain peace of mind knowing that the kids can’t wander into the pool area. The National Center for Disease Control and Prevention has found drowning to be the leading cause of injury-related death for children ages 1 to 4. Sadly, the majority of these incidents happen in home swimming pools. With the proper fencing system in place to keep curious little ones away from the pool’s deep waters, lives could be saved. Glass fencing is a better choice than solid, mesh, or barred fencing for so many reasons. Outdated pool fences that are made of these materials are not only an eyesore, but they require constant upkeep. Glass fencing made of thick tempered glass and corrosion-resistant stainless steel hardware is built to last a lifetime. 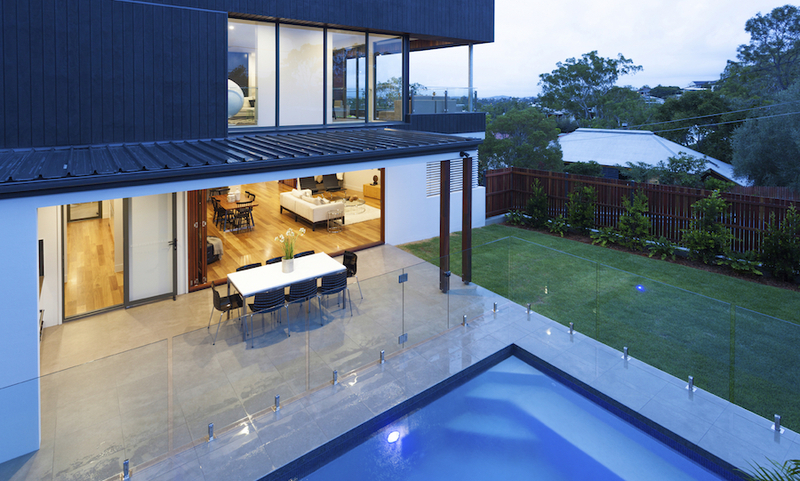 Clear panels allow uninterrupted views of the backyard and pool area, so you can monitor children at all times. Four and five foot tall glass panels are climb-resistant and meet pool safety code. Glass pool gates also meet code with self-closing, self-latching systems that automatically close the door to the pool, keeping the entrance latched and the latch out of reach of small children. There is a lot to think about when safeguarding the pool area, and finding the right source for pool fencing can be difficult. 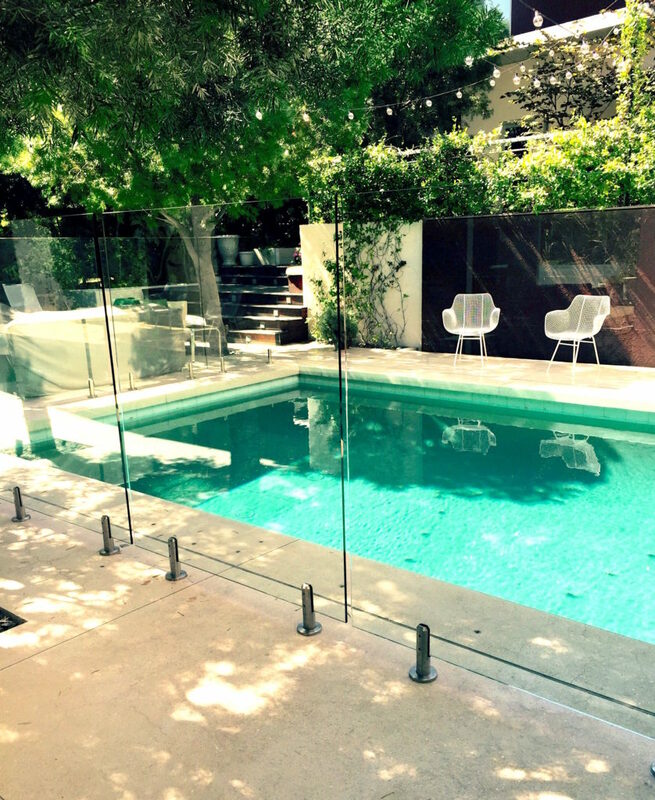 Clear-view glass fencing built to code is climb resistant, sturdy, and makes the pool area look and feel great! With such a simple, versatile design, glass fencing and railing systems can fit any backyard layout. They open the floor plan so there are no obstructions. Keeping an eye on the kids is so much easier with a glass barrier. Parents will be at peace knowing their kids are safe and with solid barriers taken away, the family will be able to come together in a whole new way. Open your home and open your yard with glass fencing and glass railing systems, they will put the perfect barrier up that will complement your space and keep your children safe.